At Fog-Out windows we are a one-stop window shop! Meaning we can either repair (de-fog) your windows, replace just the glass or replace the whole entire window. Our friendly and knowledgeable sales staff would be happy to come and assess your windows and give you the best options for your home. We provide a free “no-pressure” sales quote. 2. Which areas do you serve? 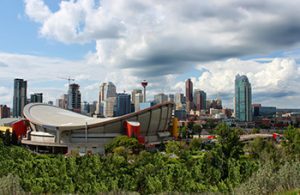 We have been serving Southern Alberta, focusing mainly in Calgary, Okotoks, High River, Cochrane, Banff, Airdrie, Chestermere, Strathmore, and surrounding areas in southern Alberta. 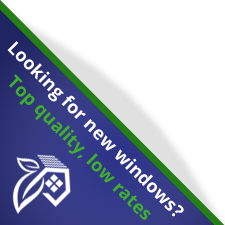 We started as Calgary’s first window repair business in 2004. We also added replacements to our line of work in 2005, becoming Calgary’s best choice for all your window needs–your “One-Stop Shop” at an affordable price. 4. Are you a member of the BBB and licensed? Yes, since 2004. We are the only repair company in Alberta to be a member of the BBB and we take great pride in our work and customer service. Other repair companies have come and gone (not so good if ever there is a need for warranty work), so make sure they are BBB accredited. We are also licensed, bonded, and are Insured with 2 million in liability. Don’t be like a lot of people who wait to repair their windows until they’re forced to–because they’re selling their home. Enjoy your window now! If it needs to be fixed anyways, you might as well do it now & enjoy your view! 6. Can all windows be repaired? No! Don’t be fooled by other companies telling you that they can repair all windows with “proper sealing”. Some windows cannot be repaired, due to major seal delaminations and/or moisture damage that has etched and stained the inside of the glass permanently. In cases like these, replacement glass or windows is the best option. Some people may be tempted to just leave damaged and un-repairable windows as they are. This can potentially lead further to major damage to the windows, framing below, and surrounding walls, etc. That’s why we recommend getting the windows repaired at the very first signs of moisture, and marking the windows as you notice them, because many people will forget as moisture comes and goes. 7. Why should I replace my windows? It is sometimes difficult to decide when to replace your windows, but here are a few clear signs that may help you decide. Are the windows in your home cold and drafty, hard to operate, or get condensation or ice build-up? Are the frames or trim rotting, cracking, or missing? Is the glass broken or cracked anywhere? Do you find your energy bills rising every year? Are you unhappy with the way your windows look? If you answered yes to any of these questions then it is time to replace your window with new, energy efficient, maintenance free windows from Fog-Out Window Solutions. 8. What benefits will I get from replacing my old windows with new energy efficient windows? 9. Should I repair or replace my sealed units? If you want to upgrade your clear windows to energy efficient Low-E/argon windows, it will keep your home warmer in the winter and cooler in the summer and will double your r-value. 10. What kind of warranty do you offer? We have the best warranty in the business!!! For repairs we offer a industry leading 10-year, money back guarantee! 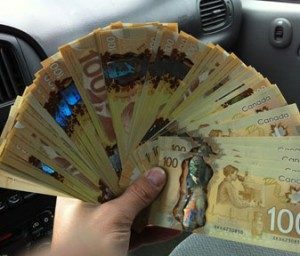 If we can’t keep the moisture out of your windows, you get all your money back or we can apply 100% of it towards a new sealed unit or window of your choice. And unlike other companies, we’ve been around for years and will be for years to come, to back our warranty. For Replacements we offer a 25-year warranty on all of our sealed unit replacements and a 20–30 year warranty on our full window replacements with an industry leading 10-year labour/installation warranty. Window repairs normally cost between $100 to $295, depending on size, location, and condition. Sealed units usually start at $200 installed and are about twice the amount of repairs. Full Window replacements usually range between $400 to $1000 installed, depending on size, location, style, and type of window. To get a more accurate price it is best to call in with exact sizes for window repairs or sealed unit replacements, or we would be happy to come out and give you a free estimate. Repairs normally take 30 minutes to an hour to do, and are all done from the outside of the home. Sealed unit replacements normally take 5 – 6 days to order and then can be installed in under an hour. Full window replacements usually take 3 – 5 weeks to order (remember they are custom built) and each window usually takes 1 hour to completely finish. Windows are replaced one at a time and are only out for about 10 – 15 minutes each, so replacements, even during colder weather, are quite easy and undisruptive. 13. What kind of windows do you use? We use only high-quality, energy efficient, maintenance-free windows. We offer a wide selection of styles, which come framed in PVC (vinyl), aluminum clad, hybrid (PVC inside, aluminum clad outside), and wood clad windows . Each window is custom built by hand to ensure a perfect fit for you, your family and your home at affordable and competitive prices.